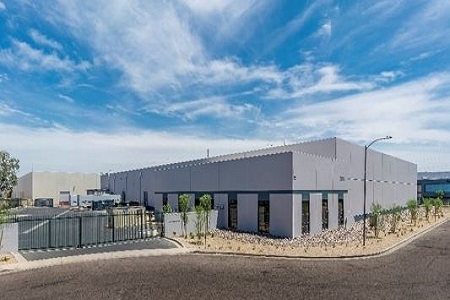 824 East University Drive is located in the Phoenix Sky Harbor Airport submarket, within two miles of the airport and less than a half mile of I-17. The property is a 77,642 square foot warehouse, situated upon 3.94-acre site. The industrial warehouse features an attractive exterior, 24' clearance, heavy power, efficient loading capabilities, concrete truck apron, a fenced truck yard, and a secured outdoor storage area. The building also offers modern, updated interiors and an optimal office-to-warehouse ratio of 6.6%. EverWest acquired this asset in a joint-venture with a Colorado based investment fund.